These are wines produced in miniscule quantities. Lafite is mainstream, Penfolds accessible. Wines like Screaming Eagle and Schrader produce wines in hundreds of cases not thousands. Critic Robert Parker invariably scores these wines in the high-90s to the “perfect” 100 and this adds to the controversy surrounding cult Cabernets. There’s no denying that they are big wines, full of fruit – Parker’s famous “gobs” – oak and high alcohol. Muscular powerhouses, super-sized Cabernet as opposed to the stereotype of refined elegance in Left Bank Bordeaux. Larry Walker in his book The Wines of the Napa Valley, wonders how a political analyst would equate the rise of these wines in the 1990s to the prevailing “if you’ve got it, flaunt it” attitude of the time. Walker is rather critical of the worship of cult wines, dismissing the attention they receive as being about “bragging rights” for the final buyer, all style over substance and questioning their ageing potential. This argument can be extrapolated further to those who believe that Parker’s love of these blockbusters has led to the bastardisation of their favourite European wines, as winemakers go bigger and more extracted to get higher points. But to dismiss these wines or the wineries that produce them as being solely for the acolytes of Parker, misses the point that even the very different palate of Jancis Robinson MW has given some of these wines 18 or 19 points. 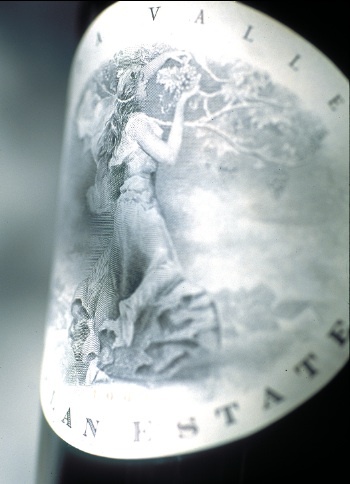 She even described the 1996 Screaming Eagle as “vindication of the property’s relatively subtle style”, while the 2001 she was convinced was Haut-Brion at one tasting a couple of years ago. There is also no denying the winemaking expertise behind these wines and many of the various winemakers and consultants that have come and gone are elsewhere praised for making “classic”, “restrained” and “elegant” wines on other estates – sometimes their own. So are they “relatively subtle” and well balanced despite their supersized flavours or are they massively overblown and overhyped? The jury may still be out but there is no denying that these wines – despite their price – remain popular and sought after. Limited supply, fantastic reputation and a liberal dose of excellent ratings go a long way to making these wines “must haves” for collectors. Many of the estates listed here have gained many 100 points for various vintages but to provide a sense of order, these are the top 10 most expensive of 100-pointers. Their release prices compared to their (approximate) prices today if you were to try and purchase them in the open market and the number of cases produced is given where known.